CBn reports The Battle For Bond will finally be released stateside in October 2007 according to an Amazon listing . I got mine shipped over from the UK back in June/July when it was released there. I’ll possibly do a semi-review (I say “semi” because I’m not much of a reviewer and I don’t really like doing reviews to be honest) of it when I actually get around to reading it, but let me say, after thumbing through it and hearing the reactions of others that have read it, it’s a must read for all James Bond fans. 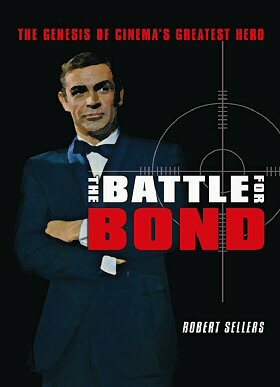 If you’re not aware of the book, it delves into the heart of the Thunderball controversy between Ian Fleming, Kevin McClory, and Jack Whittingham, later EON Productions, United Artists, Sony, etc and details all the legal battles, outcomes and whatnot throughout the years. This is a freakin’ amazing book!